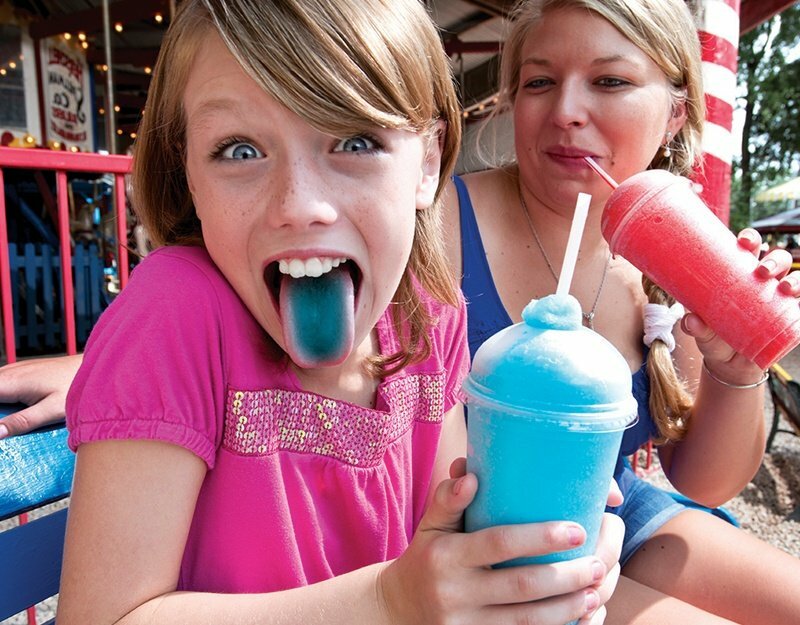 What makes frozen drinks a hit with customers? 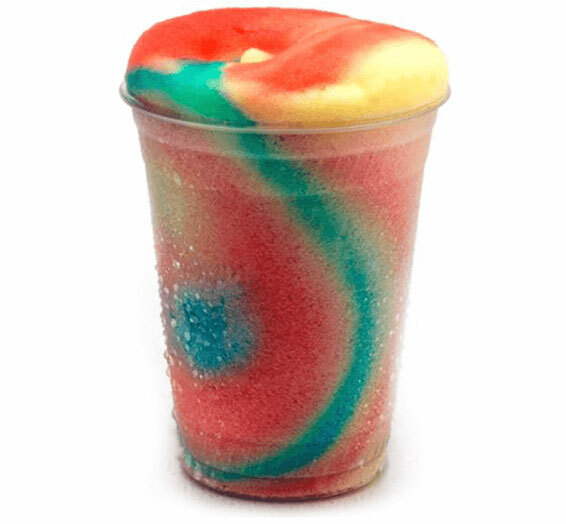 Frozen beverages have remained a steady and growing source of profitability, while the machines that dispense them have evolved to become more efficient and require far less hands-on maintenance to keep them running day to day. That’s welcome news for many convenience stores and restaurants where so many other factors, like health consciousness, fluctuating food or fuel prices, and complex sanitation routines are daily points of concern. The boost frozen drinks provide to the bottom line is also welcome news: Frozen drinks can give you 20% greater margins than fountain drinks that use more water, and double what you'd earn from a canned beverage. Since you’re serving something in a novel form that customers can't easily make at home or buy in stores, they’ll also pay a premium for that experience. Frozen drinks are comprised of very simple ingredients — various combinations of water, syrup, product mix, and/or CO2 — which makes it easy to keep them fully loaded and ready for whenever your customers stop in. When they do, their bright colors and novelty make it easy to catch their eyes and invite them over to get one for themselves. Frozen drinks aren’t found in most stores, and can’t be made at home without expensive specialized equipment. That makes them great novelties for hot summer days, special occasions, or just normal days when you want something refreshing to enjoy during your downtime. 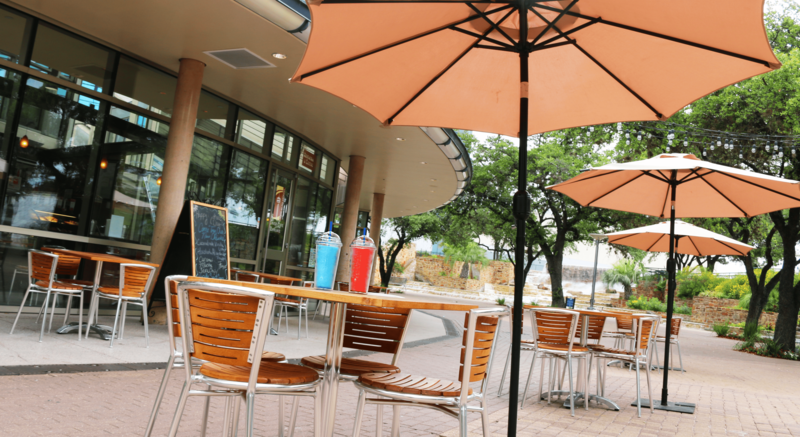 Believe it or not, frozen beverages are even popular in the winter, when malls and theaters are simultaneously overheated and filled with customers that are bundled up to guard against the cold outside. They also don’t get watered down as they get warmer, since the water in a frozen drink is mixed with the syrup directly before it’s frozen. That means customers can enjoy their flavor longer than they can with traditional iced fountain drinks. 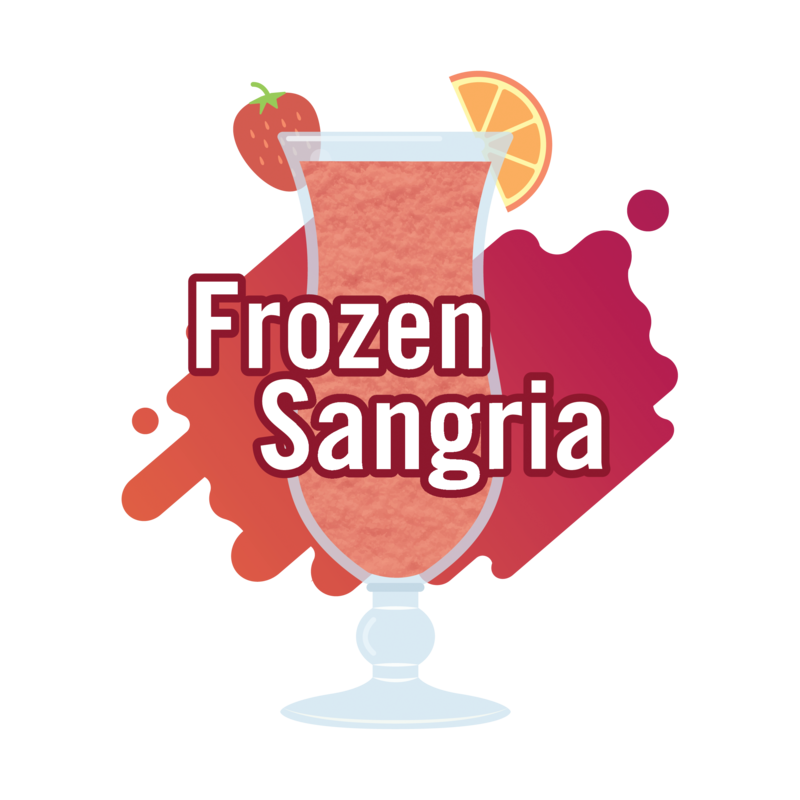 The simplicity of frozen drinks make it easy to incorporate them into any business. There are hundreds of different syrup flavors available to choose from, including classics like Red Cherry and Blue Raspberry, innovative and exciting flavors like Mango Chili Lime or Strawberry Basil Lime, and well-known branded flavors like Coca-Cola, Dr Pepper, Pepsi, and Mountain Dew. Bag-in-box syrup packaging makes it easy to refill machines without making a mess mixing product or taking them offline for time-consuming and labor-intensive sanitation routines. In fact, if you keep the exterior sanitized, some frozen drink machines can run for an entire year without turning them off or cleaning them out once. Keep the water on and the syrup and CO2 full, and your machine can pour frozen drinks for a whole year before you have to do any routine maintenance on it. Advanced technology keeps these machines running efficiently with minimal upkeep. 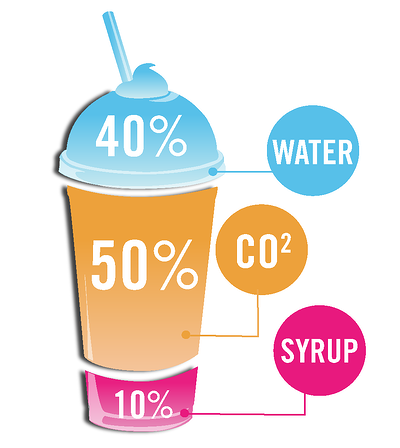 Not all frozen beverages are carbonated, but CO2 makes up around 50% of the volume of the ones that are. At first that might sound like “selling air,” but it actually adds something special to the drinks that you can’t get in any other kind of frozen drink: the injection of CO2 is what gives frozen carbonated beverages their crispy texture. 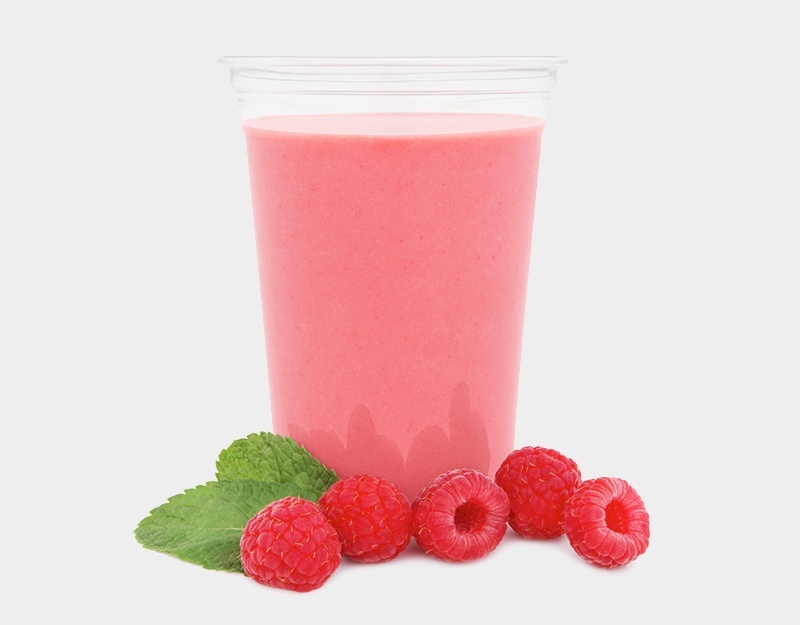 Serve up delicious shakes for customers looking for a convenient dessert they can take with them out the door, or smoothies for health-conscious consumers looking for more something more nutritious to keep them energized throughout the day. 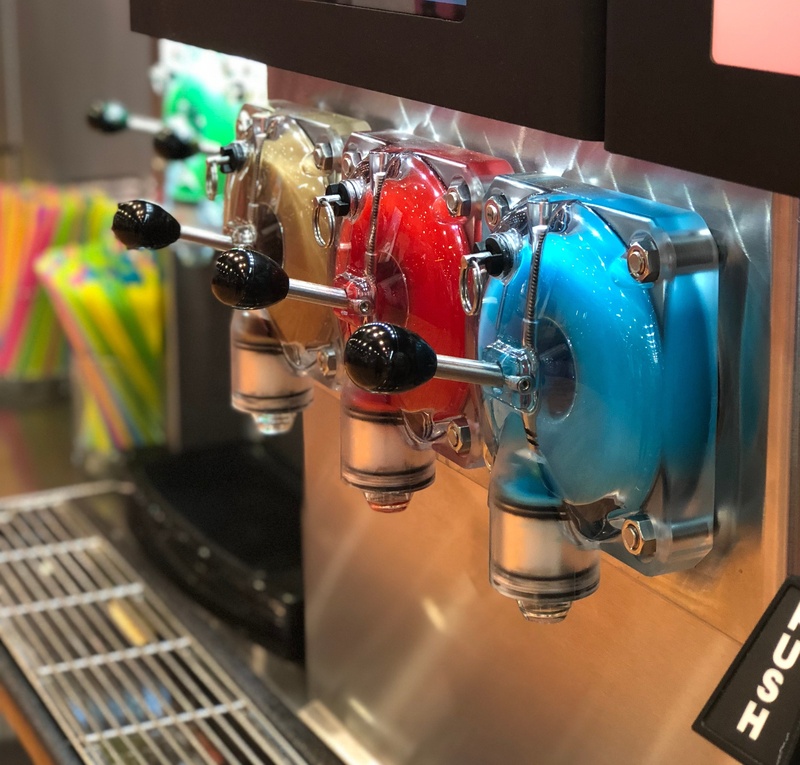 Slush is the original frozen beverage, and they’re still popular today for dispensing flavorful favorites like frozen margaritas, frozen lemonades, and iced coffee slushies. Although the machines require more regular maintenance than frozen carbonated beverage machines, they have a simple setup and are very easy to use. 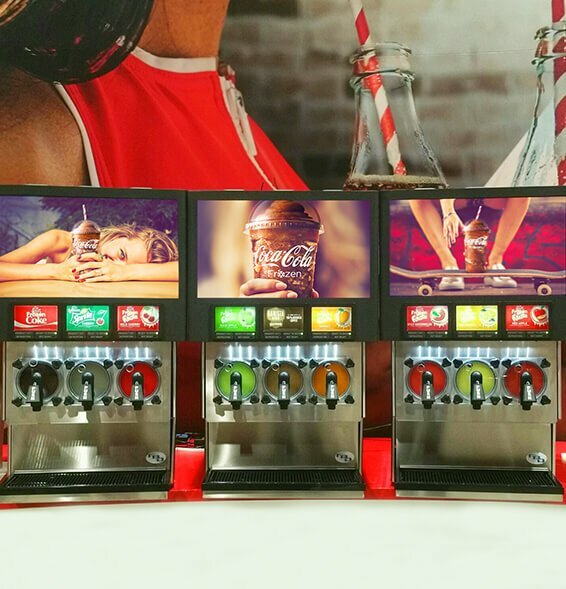 Multi-flavor drink machines make it easy for businesses to create set-and-forget drink recipes that are dispensed perfectly, taking guesswork out of the equation and making the flavor (and profitability) consistent every time. Another great part of frozen drink programs is flavor versatility. 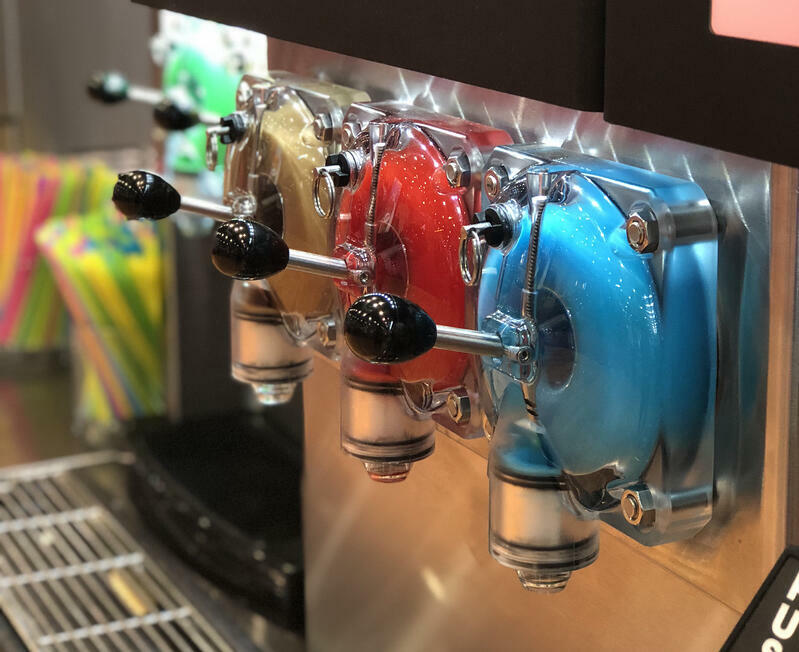 Multi-flavor drink machines give you the option of combining a single base flavor with up to 4 different add-on flavor shots in all sorts of different configurations. For example, one of FBD’s multi-flavor units can be programmed to offer as many as 16 different combinations of flavors, each of which are set up with a preset quantity of base and flavor shots to make the same drink every time no matter how many of the flavors are mixed together. 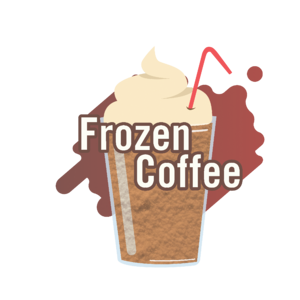 There are dozens of ways to customize a frozen drink machine to make it fit naturally into its surroundings, whether it’s sitting out where customers can serve themselves or on a counter behind the bar. The stainless steel side panels can be customized with red, white, or black panels, faceplates can be square or domed, door merchandisers can have tall or short doors, and on-unit video players can also be used to market the frozen drink program or cross-promote other items in the store. There are even options for customizing many of the little details, like handles and dispensing valves, so the smallest details can be designed intentionally to fit into your store. Once your frozen drink machines are installed, you can promote your drink program using exterior signage on your doors and windows, in-store signage on walls, table cards, and at the point of sale, and by putting your frozen drink machine in the right place to naturally draw attention and foot traffic to it. It’s common for machines to be visible from the entrance of a convenience store where eyes can naturally land on the colorful products and the eye-catching signage and brightly colored cups that accompany them. When they’re being positioned as alternatives to other drinks, it’s helpful to put like items together. For example, frozen carbonated drink machines are often placed right next to traditional soda machines, while frozen coffee drinks are put with the hot coffee. In restaurants and other places where drink machines aren’t self serve and are hidden from view or located in places that can’t be seen by everyone, they can also be promoted by including them in menus and on table cards, or by having servers recommend them as daily specials to customers when taking orders. Want To Study Some Existing Frozen Drink Machine Programs in Person? 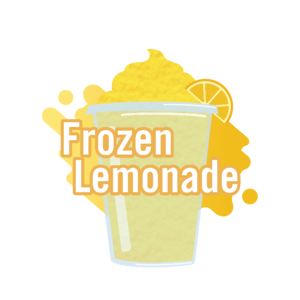 Frozen carbonated beverage machines are the easiest frozen drink machines to maintain. They ship from the factory sanitized and ready to use when they arrive. Just keep your syrups and CO2 filled and the exterior sanitized, and you’re good to go for a full year. After that, a certified technician will have to shut down the machine once a year do some routine preventative maintenance that will keep everything running smoothly, and then sanitize the inside again. Slush and granita machines require more hands-on daily upkeep. Since the ingredients are mixed and frozen in an unpressurized open-bowl tank and none of the process is automated, they have to be mixed manually in the right quantities when they’re added. Since they’re not sealed from the outside world, the bowls also have to be emptied and cleaned out everyday to keep them sanitary. 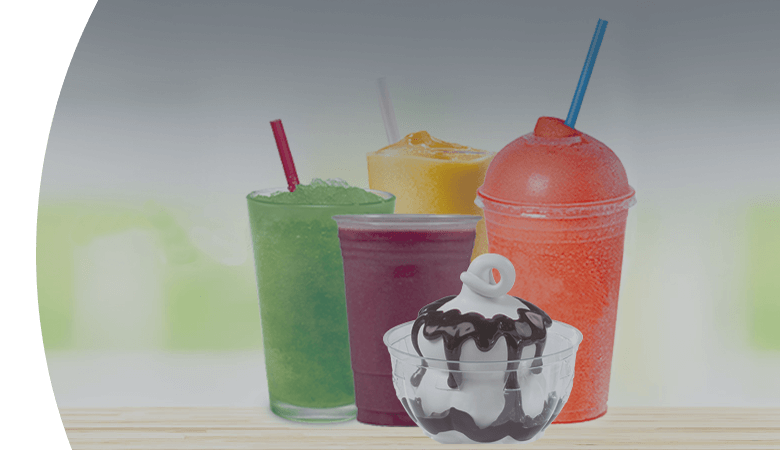 Smoothie and shake machines have maintenance requirements that are similar to the slush and granita machines. When you’re working with dairy products, there are special precautions that need to be taken to prevent contamination, so they’ll also have to be emptied, cleaned, and sanitized every day. Besides the machines themselves, you’ll also have to make sure you keep cups, lids, and straws in stock, empty drip trays, and make sure the non-slip mats around your machines are clean to keep customers and employees safe from slips and falls if there’s a spill or a leak. A single mom-and-pop convenience store located near a middle school adds a two-barrel frozen carbonated beverage machine to its store. The machine increases customer retention as more kids stop by to pick up a cool drink after school and before sports practices on hot days. A national movie theater chain expands its frozen carbonated beverage program to include frozen nitro coffee dispensers in 400 locations. The machines generate a positive ROI after just 8 months, and factoring in maintenance and operational expenses, they add $x a year to their bottom line annually after that. 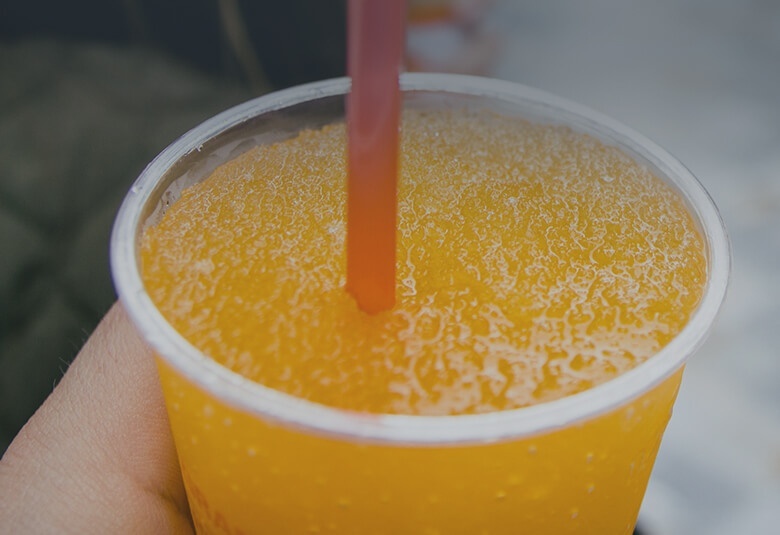 Frozen drink machines are used in more than 80% of the world’s convenience stores and gas stations, and you can find them in thousands of other places too. Look around and see if you can spot one, and try to figure out the moving parts driving the program behind the scenes when you do. 80% of the world’s frozen beverage retailers trust us. Even though they’re designed to run non-stop, things wear out from time to time and it’s important to get service quickly to make your machine operational — and profitable — as quickly as possible. 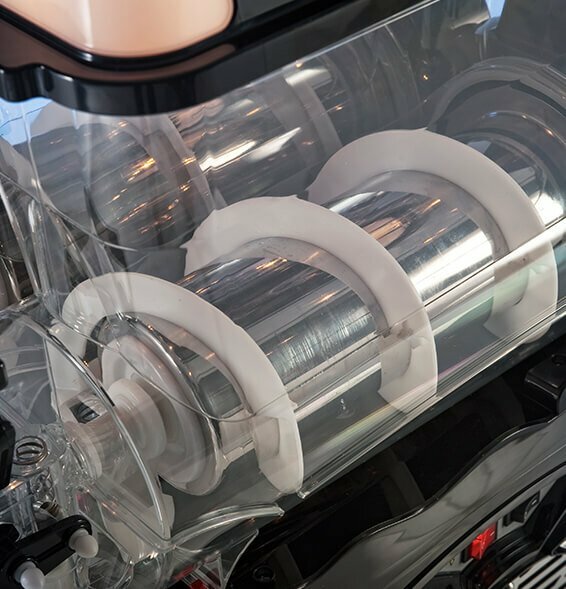 Most machines manufactured today even include diagnostic tools hidden inside the machine, that will help you figure out what went wrong before a technician can even stop by to look, so they’re able to make one less trip and save that much more time. Every dependable frozen drink machine manufacturer has a ready supply of replacement parts and a network of certified repair technicians that can help you figure out which one failed, acquire a replacement, and get your machine up and running again quickly. What are the most common problems with frozen drink machines? The most common reason a frozen drink machine will stop working correctly is simple: it’s out of syrup, and nobody’s noticed yet. Besides that, sometimes a machine will put itself in defrost mode, which isn’t a difficult thing to fix either and can be diagnosed and handled on your own with a little training. A service provider can stop by to fix it for you, and show you how to take care of it yourself. Other, more complex issues can be caused by improper voltage or improper pressure in the water or CO2 lines. If the voltage and pressure settings are overlooked, your machines could be damaged at worst, and at best they will dispense poor quality drinks. That’s why it’s so important for installation and initial setup to be done properly the first time by a certified technician, who will know when any of these things are off and what to do to fix it — saving you hundreds of dollars in future maintenance costs and lost sales before those problems can arise.